Tauberbischofsheim, the county town of the Main-Tauber district with 13,400 residents. It is conveniently located near Würzburg, Heilbronn and Stuttgart. Several international airports of Frankfurt, Nuremberg and Stuttgart are nearby. The regional centre of Tauberbischofsheim is an important business location in Main-Tauber district and has a well-developed infrastructure. For many who have not yet visited Tauberbischofsheim, the city is known as a fencer’s stronghold with the Olympiastützpunkt (Olympic Support Point) of the fencing world. Even the cultural historian Wilhelm Heinrich Riehl recorded a thought on one of his walks in 1865 which states: “A walk through Taubertal is a walk through German history”. These words and their significance behind it are still valid today, because in almost every city, village or villages one encounters castles, monasteries or truly remarkable gardens. Nobleman once created the most visited cultural attractions throughout the area. In 1980 a 90 km cycle path, with the same name of “Charming Taubertal”, was created. Extending from Rothenburg ob der Tauber via Tauberbischofsheim until Wertheim am Main. The scenic route of the bike path passes through the Franconian hills, past the extensive orchards and vineries of the lowlands. Through the cultural cities of Weikersheim, Bad Mergentheim and Tauberbischofsheim. Not to mention the monastery Bronnbach, at this point the “Charming Taubertal” cycle path ends. 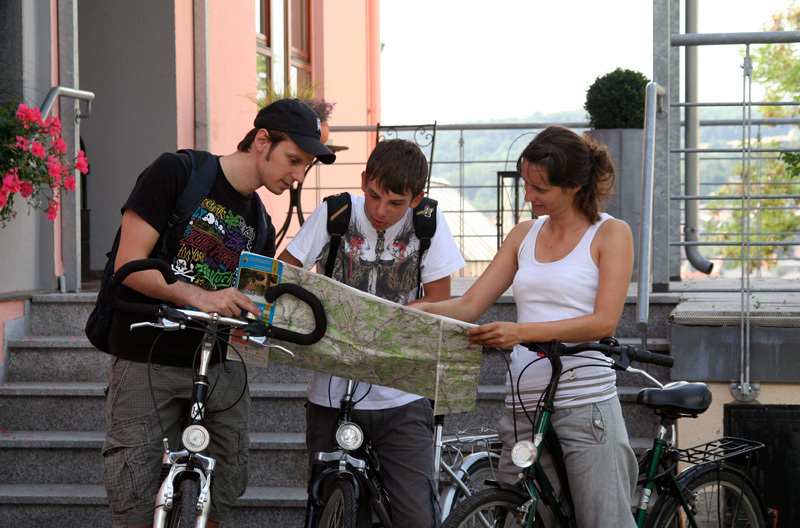 In return for the famous cycling trail “Charming Taubertal” there was the launch of the annual hiking event known as “Walking is enjoyable” in 2004 which attracts great appeal to hikers. Here the valley has 30 circular hiking courses offering a variety of sights and attractions. The best-known trails are the “Taubertal Panorama”, the ‘’Tilman Riemenschneider”, and finally the “Jakob Odenwald-Main-Taubertal”. In addition to cycling and hiking opportunities in the holiday region of “Charming Taubertal”, there are other recreational opportunities such as walking along the river of Main and Tauber. You will find out more information from the Tourist Information Centre of “Taubertall”. Gold for the elite? That was before. Not only the many businessmen of long ago can enjoy the greens and fairways of the nearby golf courses, you can too. Taking advantage of the green fairways where you can indulge in your hobby, “Charming Taubertal” is a golfer’s paradise. There are a total of six gold courses nearby.